Winter is quickly approaching, and this means it’s time for hearty soups, big mugs of hot tea — and digging out all your warm winter clothing. Since your winter wear has probably been sitting in storage for the last several months, you’ll want to take stock of what you’ve got to get you through the cold weather. Maybe that coat you wore every day last year doesn’t really suit you anymore, or you’ve found that your gloves have mysteriously developed holes since the last time you wore them. If this is the case, it might be time for a winter wardrobe refresh. Instead of dropping big bucks on brand new winter gear, which can get expensive fast — especially if you need to replace several things — go environmentally-friendly with chic second-hand pieces. Your best bet is to hit up your local Value Village®, where you can find everything from designer coats and wool scarves, to warm and waterproof winter boots. It can be challenging to keep your wardrobe exciting when the temperature drops, but here are a few tips for your next thrifting adventure. Staying warm and chic at the same time can be a major challenge. Keep an eye out for faux fur jackets that nail both of those requirements. A long faux fur coat lends just the right amount of old Hollywood vintage vibes, while a shorter jacket is more modern and versatile. There are a few different styles to look for, including Teddy jackets, which are made with a super soft shearling-like fabric, or fluffier faux fur styles, which can come in a wide range of colours. Velvet is back in a big way this year. Unsure about giving this trend a go? Start small with velvet accessories like a beanie, gloves, or scarf. If you’re feeling bold and ready to embrace this material on a larger scale, look for a crushed velvet dress for all those holiday parties you have coming up, or cruise the racks for a velvet corset top, which will look chic layered under a cardigan — with just a hint of 90s nostalgia. Go for the gold with high-waisted velvet pants and stop the onset of winter frump before it even sets in. If there’s one item of clothing that is absolutely essential for surviving the winter, it’s your boots. Ottawa winters can be particularly rough, meaning those boots have got to be warm, waterproof, and have a good grip on the sole — icy sidewalks are no joke. Choose duck boots with a thick lining, such as sheepskin, or other slip-on winter boots which will be easy to get on and off when you’re coming in from the cold. Retro-style snow boots lend a vintage vibe to your look, and tall shearling-trimmed boots are perfect for everyday comfort. The thrift store is the ideal place to fulfill all your winter sweater needs. At Value Village®, you can find everything from oversized fisherman pullovers, to chunky knit cardigans, to warm turtlenecks. For ultimate warmth and comfort, opt for thick wool sweaters that look like they were handmade by (someone’s) grandma. 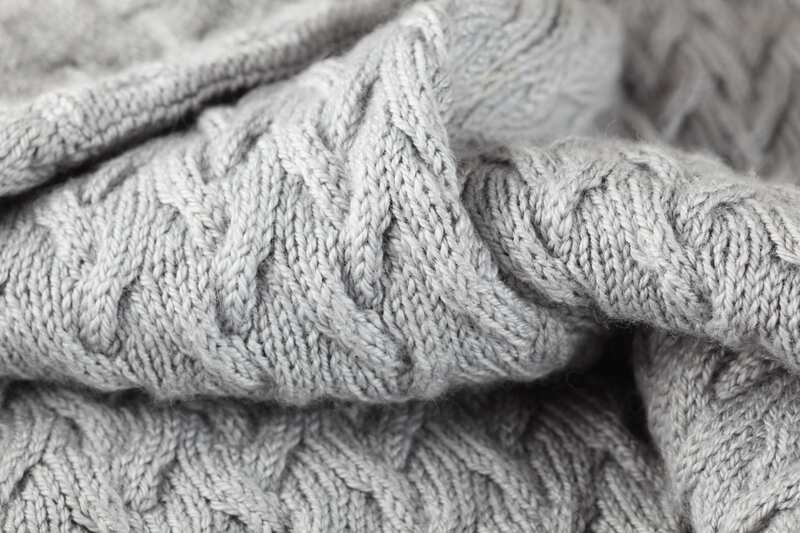 Cable-knits, in both pullover and half-button styles, tend to fetch high prices brand new, but can easily be found for a fraction of the cost second-hand. We recommend choosing neutral shades like beige, cream, and grey for versatility. One of the best things about shopping second-hand is finding an authentic gem from a bygone era. Rather than buying a brand new 80s-style jacket, why not find one that’s actually from the 80s? The racks of winter coats at thrift stores are a bonafide treasure trove of retro pieces like brightly coloured ski parkas, long wool coats with hefty shoulder pads à la Blade Runner, or long puffer coats in stand-out shades like violet and turquoise. You’ll look right on trend, but even better, you’ll be super warm. Keep an eye out for materials that are waterproof, like nylon, PVC, or rubber, and be sure to check tags — you never know when you’re going to find a high-end brand hiding in the racks. Winter wear can get drab after months of wearing black and grey, so brighten up your bundled-up look with colourful winter accessories. Try toques in gem tones, like emerald green or ruby red, or a bright pop of pink or yellow. Plaid or a botanical-print scarf will act as a little reminder that spring is just around the corner. 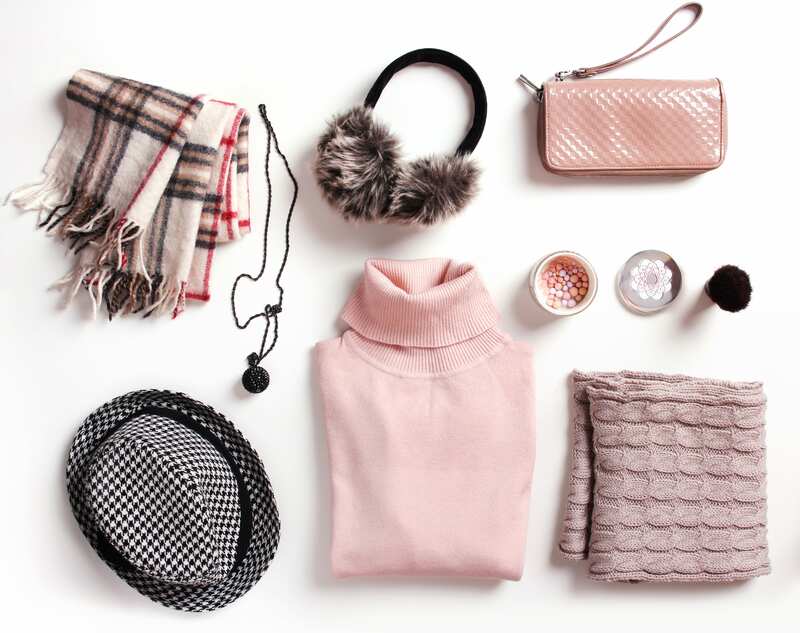 When in doubt, fluffy pink ear muffs or a faux fur collar might be just the ticket for beating those long winter blues. With endless options for your winter wardrobe makeover waiting in the racks at Value Village®, there’s no reason to put off winter shopping any longer. Save even more with the Super Savers Program and be the first to know about special discounts and sales. From designer items to unique one-of-a-kind pieces, Value Village® has something for everyone.